Fresh vegetables isolated on white, watercolor. イラスト素材: Fresh vegetables isolated on white, watercolor. 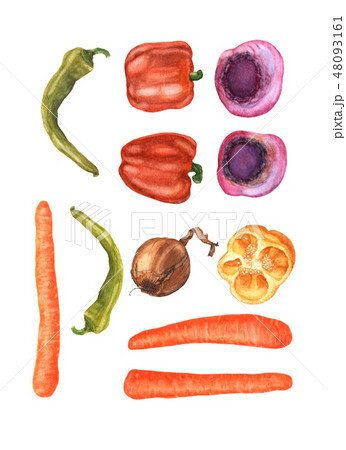 Watercolor hand drawn vegetables, isolated on white background. Top view of beetroots, carrots, peppers, chili and onion. Fresh and healthy organic vegan food illustration.